This is adapted from a Hugh Fearnley-Whittingstall recipe in The Guardian Weekend 12th Feb 2011. It looks really tricky but is surprisingly simple! In a pan of salted water, bring the potatoes to the boil and simmer for 10-15mins. Drain, put into a mixing bowl, mash roughly, and set aside to cool. Once the potatoes are tepid add the cheese, flour, and egg and season generously. Using a wooden spoon, bring together to make a firm dough and knead gently for a few minutes. 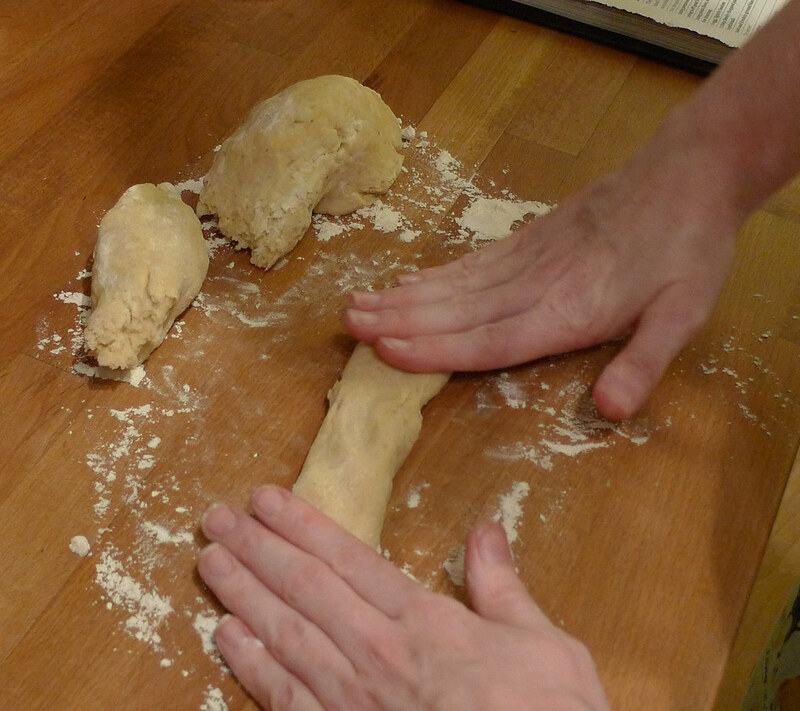 Roll the dough out into sausages about 1cm in diameter and chop into 2cm pieces. Bring a large pan of salted water to the boil, and put a plate/bowl nearby to keep warm. Cook the gnocchi in batches (my dough made 4 ‘sausages’ so I cooked the gnocchi in 4 batches) until they rise to the surface. This will only take a minute or two so don’t leave the stove! 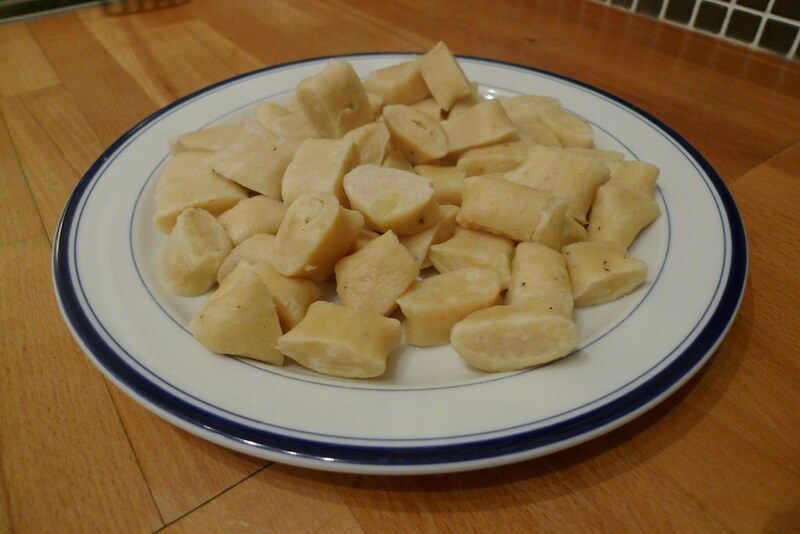 Transfer the cooked gnocchi to the warm plate. Warm the butter until it browns, then turn off heat. Add the lemon, herbs, walnuts, and cheese and stir. Add the gnocchi, season, and serve immediately. You may like to serve with Parmesan grated over the top, and a green side salad. Enjoy!